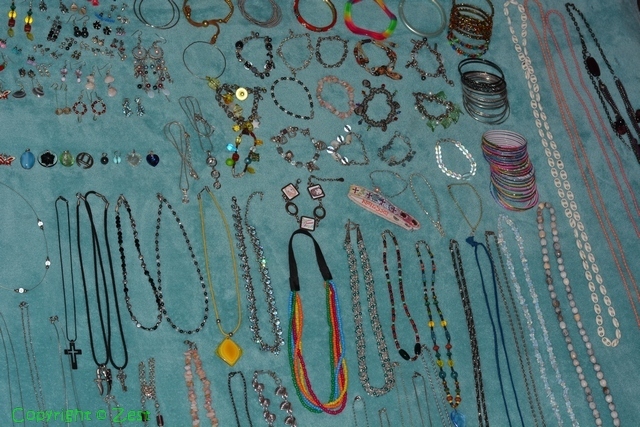 One of the first ‘victims’ of my purge was my jewellery collection. I’d been meaning to reduce and refresh it for ages (Goal #100 on my list), as I had a large mix of pieces – some given to me, some I’d made and some I’d bought. And since I can only wear so many pieces at any given time, I knew I had to sort it out. 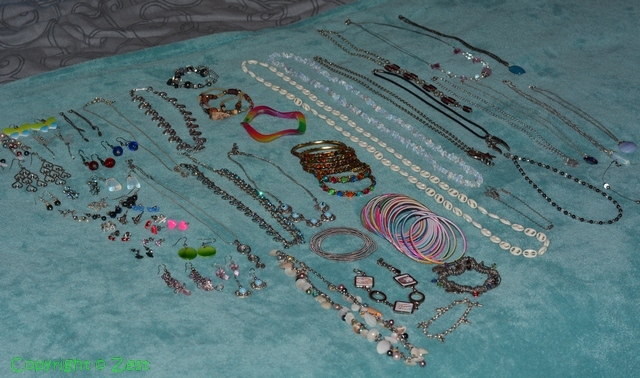 I began by laying out every piece I owned on my bed. It took several photos to try to fit everything in the frame (thanks to my unaccommodating 50mm lens) and took up half of the bed. Seeing everything together all at once gave me the resolve I needed to ruthlessly cull unwanted pieces. First I gave Ninja a chance to go through the collection and pick out items that he really likes seeing me wear. 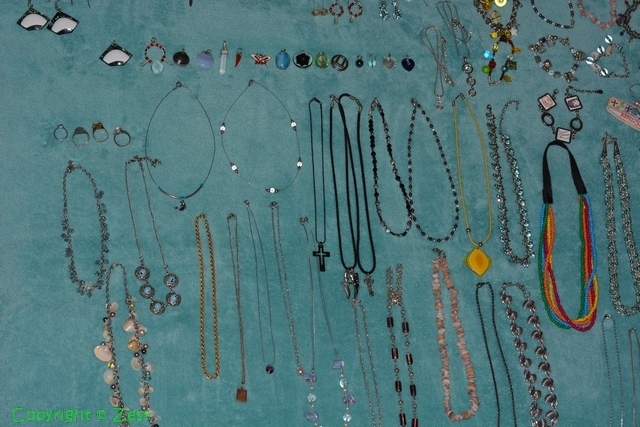 On one or two items I disagreed, but otherwise he chose a handful of necklaces and earrings that I also wanted to keep. That done, I picked up each remaining piece and evaluated it. If it was old, worn, or didn’t suit me, I immediately threw it in the discard pile. 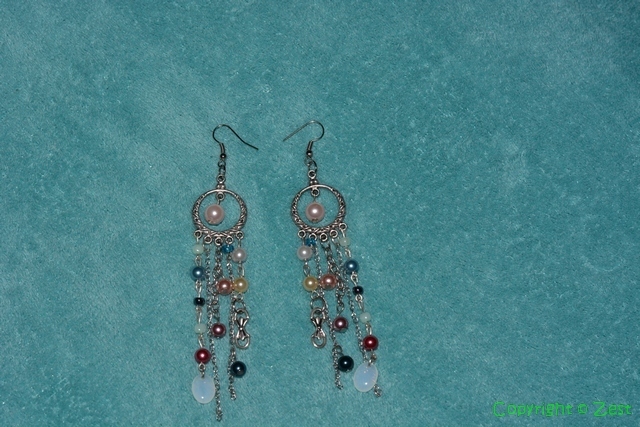 Some items were easy: I had duplicates of a few earrings, so I chose to keep the best and let go of the rest. Other items were very difficult: I sat for several minutes with a few sentimental pieces, remembering who’d given them to me and why I’d kept them for so long. But usually all it took to make me discard the item was asking myself the question, ‘OK, so why haven’t I worn this in years?’ The ubiquitous 80/20 principle came to mind: about 80% of the time I wear only about 20% of my jewellery collection. That was a useful filter for getting rid of the extra bits. 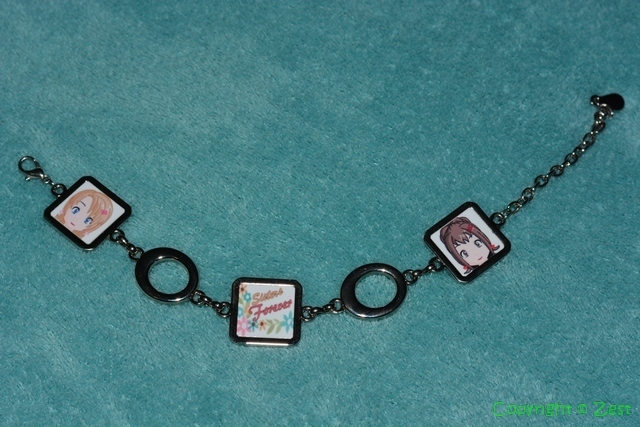 This is the friendship bracelet I made when my best friend moved away. We each have one with our two ‘anime’ faces and the words ‘sisters forever’. I miss my friend a lot but wearing this always makes me smile. 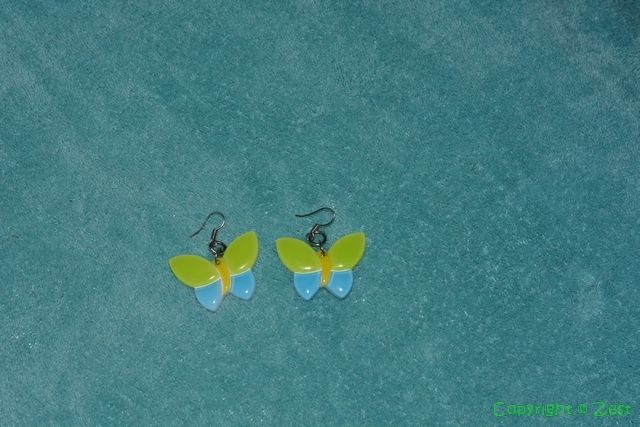 These cheerful butterfly earrings were a gift from my sweet granny. I wear them often and love how they represent my fun side. These are the earrings I made for my wedding outfit. Although I’ve probably only worn them once or twice since the wedding, they’re too special to let go. I need to purge stuff too. 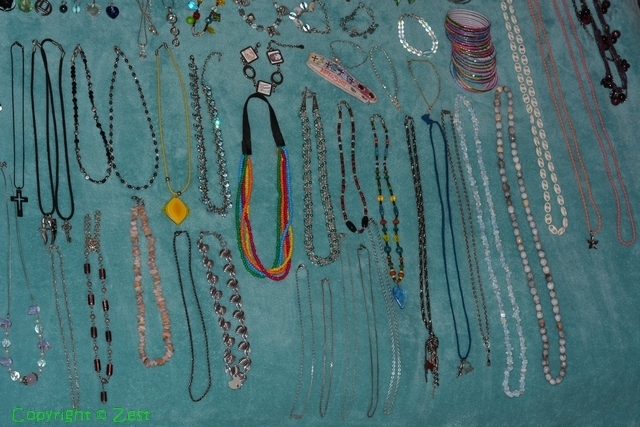 I have jewelry and never wear it. I got most of it because friends would need me to have a party to help them get started in their ‘home based business’. I always try to help by purchasing from them. Consequently I have an entire assortment of items I will never wear. And I need to purge other areas too – clothes and books. Clothing is cumbersome because I seem to get rid of one piece of an outfit that I’ve always worn together – which in effect yields the remaining part of the outfit unwearable (unless I buy another completer piece – which I just got rid of). Books are tough to get rid of; I have no idea why. There are a few business books I refer back to.but not all that I have on my shelves. Craziness! I’m going to do this too!! !